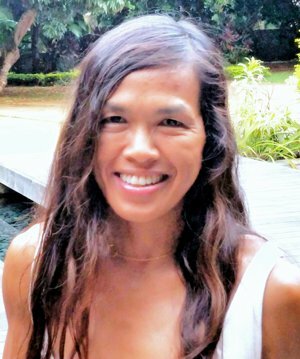 Ruby’s ties to Kaua’i are long and deep, harking back to the old plantation days when her ancestors immigrated from the Philippines to Hawai’i to work for the sugar cane companies. Ruby's family roots began with being part of Hawai'i's sugar plantation culture, on the west side of Kaua'i. Ruby’s family roots, being a part of Kaua’i has brought about a profound sense of appreciation for its special island culture. She also knows the value of living on an island known for its idyllic charm and breathtaking beauty. She feels lucky to call Kaua’i her home. The island inspires her every day. She sees Kaua’i as a gift to share with prospective clients, whether they are seeking to find the perfect home, investment property, or second residence. Ruby prides herself on being dedicated, passionate, enthusiastic, dependable, and trustworthy. She believes that having integrity and being accountable in business and in life must be at the heart of any enterprise. These qualities, as well as a strong work ethic, are what set her apart. She is a life-long health enthusiast and enjoys people, CrossFit, running, paddling, yoga and dancing. She also loves a challenge, whether this means rock climbing, running marathons, paddling in a canoe race, raising children or running a business successfully. Her passion comes from a zest for life.